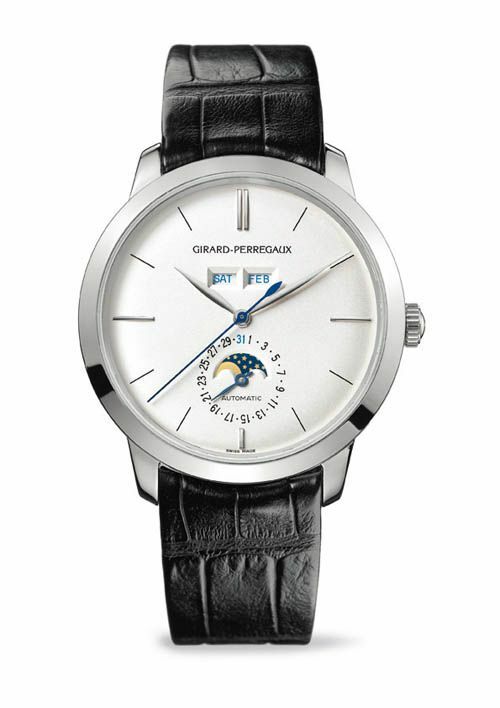 Just before BaselWorld 2011 will start, I would like to give some attention to this new watch from Girard-Perregaux, the 1966 Full Calendar in white gold. A piece from GP’s 1966 collection, featuring an automatic winding full calendar movement caliber GP033M0. To be honest, I think GP is one of the most underrated haute horlogerie brands and I have a lot of love for their classic line up as well as for their sporty Laureato Evo 3 timepieces. The pro about being an underrated brand is that they will remain exclusive, a con might be resale value. However, resale value is not always an interesting aspect when buying watches (or other durable products for that matter). Anyway, the Full Calendar by GP is a beauty! 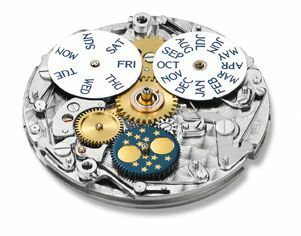 Look at their in-house movement and have a look at the classic design 40mm case. The palladium or red gold versions were already introduced during the SIHH 2011 earlier this year, but the white gold version has been added to it. The red gold and palladium versions have been priced at $19,800 USD and I don’t think the white gold version will be around the same price as well. This watch comes with a very nice alligator strap and a white gold buckle.